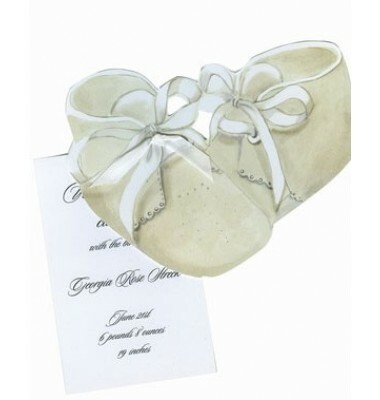 This die cut of the baby booties and is perfect for either a boy or girl baby shower. You party information is printed on a separate 3.5" x 5.5" card that is attached to the die cut with a ribbon. Envelopes included.Assembly of ribbon to card required. 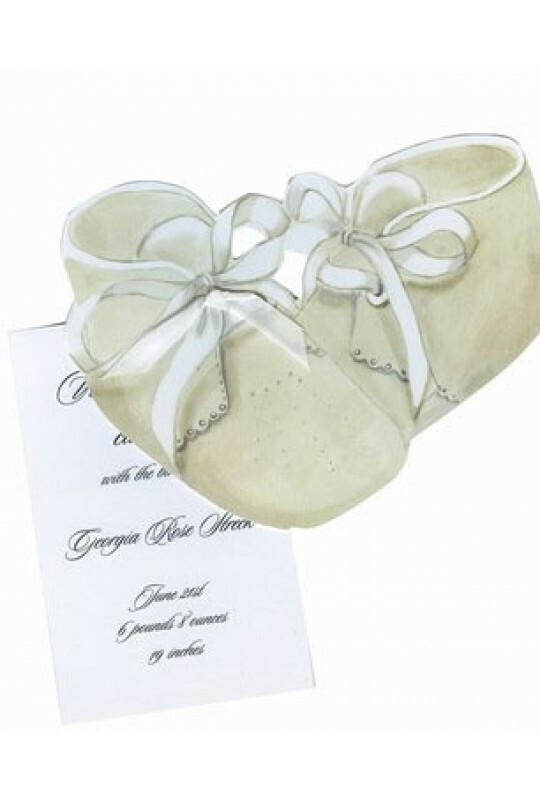 Card comes with your choice of White, Blue or Pink ribbon.